I’m pretty sure I blinked and the weekend was over. I had a list of things I needed to get done and didn’t, I hate when that happens. However, I am happy to report that my son’s prom was a smashing success and he had a blast. He says he even talked to his date, but I think I may have to double check with her on that :). 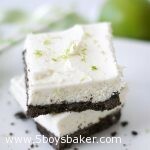 Spring has definitely sprung which means “springy, refreshing desserts.” When I think of spring of think of lemon and lime desserts, do you? 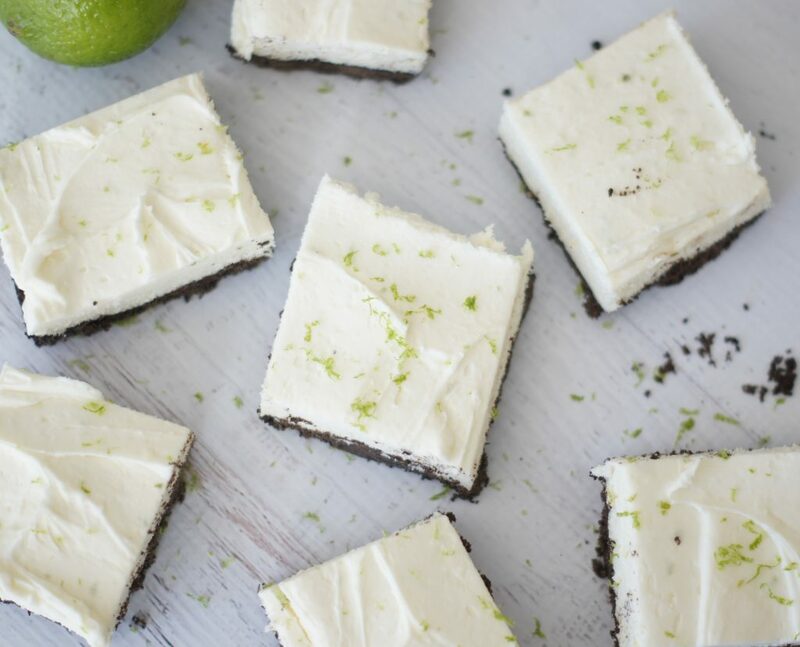 These white chocolate & lime cheesecake bars totally fall into that category. I’m a huge cheesecake fan so when I saw this recipe it was a no brainer. . . I had to make them. These cheesecake bars are so refreshing, light but decadent, and completely delicious. You will love how easy they are to make. 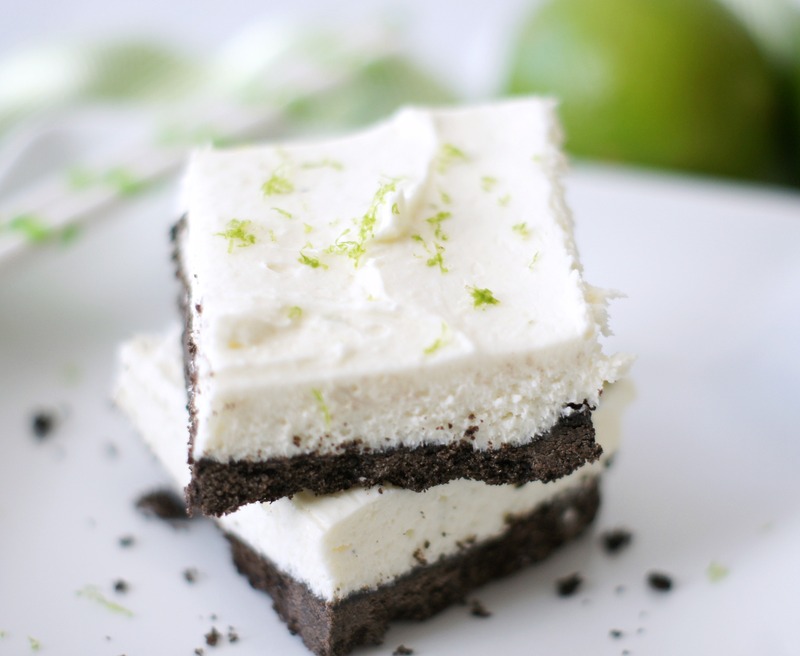 I love the Oreo crust paired with the lime, it’s a winning combination. Hello spring! I’m so glad you’re here. 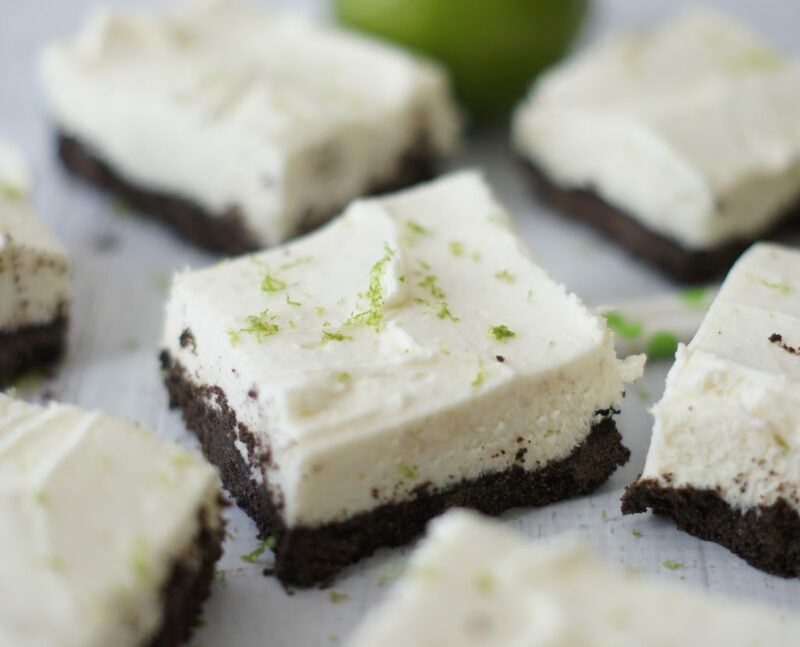 These white chocolate & lime cheesecake bars are so light and refreshing and absolutely delicious! Line 8x8x2-inch square baking pan with foil, extending over all sides. Stir chopped white chocolate in small metal bowl set over saucepan of barely simmering water until melted and smooth. Remove bowl from over water. Finely grind cookies in processor. Add 2 tablespoons melted white chocolate and blend until mixture clumps together. Firmly press mixture onto bottom of prepared pan. Chill while making filling. Beat whipping cream in medium bowl until peaks form. Beat cream cheese, sugar, lime juice, and lime peel in large bowl until smooth. Beat in remaining melted white chocolate. Fold in whipped cream in 2 additions; carefully spread over prepared crust. Chill until filling is slightly firm, at least 2 hours. Using foil as aid, lift cheesecake out of pan. Cut into 9 bars. Garnish with chocolate curls, if desired, and lime slices or twists. The only thing I would probably do different next time is add a couple tablespoons of melted butter to the Oreo crumbs. The crust was a little crumbly when you cut into them, so I think adding a little melted butter along with the melted chocolate would help the crust stay together better. Good to know that it could use even a little more butter. Thanks Christine!